This article is for the book lover inside you, as well as the décor enthusiast. Library décor combines both aspects. 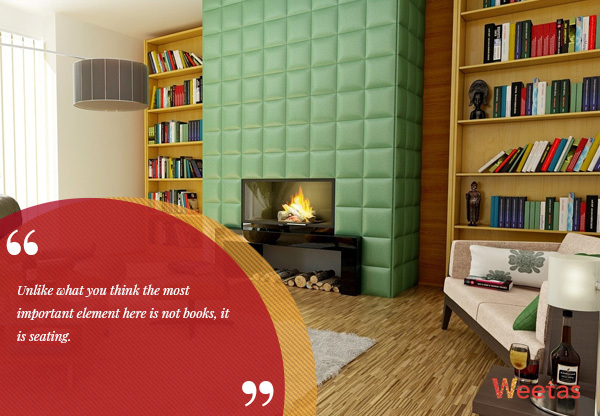 It gives you an elegant place for your book collection, and adds a sophisticated look to any given room. If you have an extra room in your house, you can have a home library. A space dedicated to escape from reality and relax with a book and a cup of coffee. But even if you cannot dedicate a whole room you can still have a home library, just decorate a reading nook with some shelves and a comfy chair and you are all set. 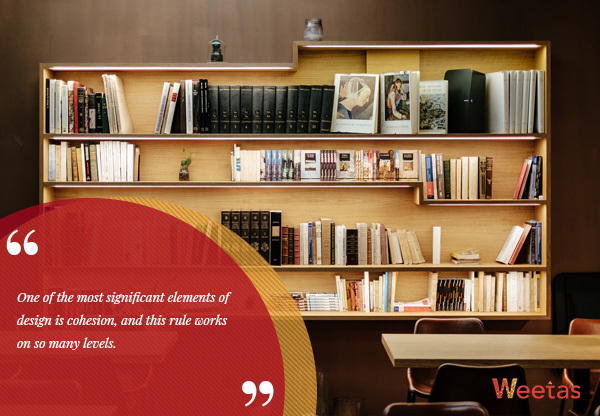 Here are some ideas that you should keep in mind while designing your library décor to achieve your perfect reading space. Having an entire room that can be used as a home library is great, because then you can really indulge and make it your own reading haven. However, not all people can afford to spare a whole room, especially in this day and age when houses are becoming smaller. So choosing the right room for this is very important. You want an open space, not crowded with furniture with a cozy ambiance. Following these rules we do not advise placing your library in a dining room or in a formal sitting room, even if you have the space. 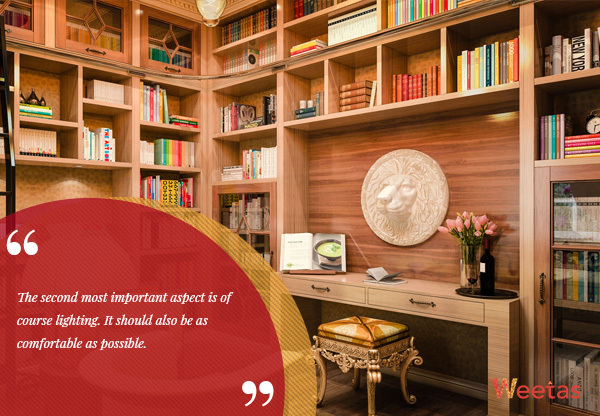 The optimum places would usually be in the living room, in a home office if you have one, or a book nook in the bedroom. Unlike what you think the most important element here is not books, it is seating. Yes, books are what this is all about, but how will you enjoy even the best of books if you cannot sit comfortably for hours reading it? 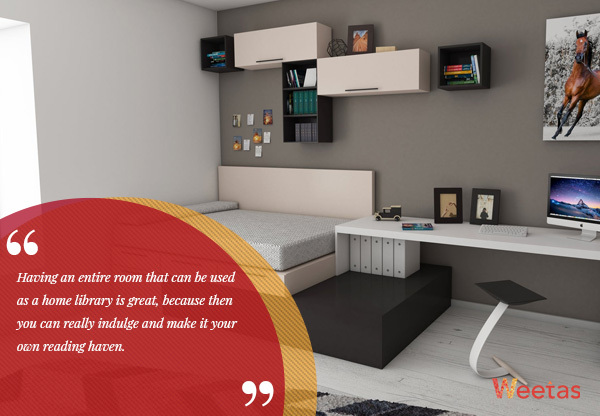 This is why it is highly advised to choose furniture in this space with comfort in mind. Designers of classic libraries had a vision and a purpose when they included huge comfy leather chairs in libraries. So try to stick with plush couches and chairs, even if you only have space for one chair, make it the most comfortable one you can find. If the space is more modern, you cannot go wrong with bean bags! The second most important aspect is of course lighting. It should also be as comfortable as possible. If you can welcome natural lighting in the room with windows then by all means do that, choose light breezy fabrics for the curtains and welcome the sunlight in. In addition to that, make the lighting layered and adjustable; choosing the right table lamps is more important than choosing the tables. Ambient and task lighting are key elements in library décor; you have to have one of them either directly above or directly beside each spot in the seating area in a library so people can read comfortably. And speaking of reading comfortably, choosing the right light bulbs is also important. Go for warm bulbs with high power and add a dimmer, this way you can tone it down if you want to. One of the most significant elements of design is cohesion, and this rule works on so many levels. If the home library is a part of another room make sure the materials and colors used for the shelves and seating goes with the rest of the room. It does not have to be an exact match, but it has to be cohesive. And also when you display your books, try to make the groupings on the shelves as neat and tidy as possible. Do not group 100 books on the left side and leave the right side empty, try to go for a lay out that is pleasing to the eye. Art is one of the most important components in any room. And the home library is no exception. Moreover, choosing the right art can make the place feel more personal and a home library should be personal, it should reflect who you are and what you love. 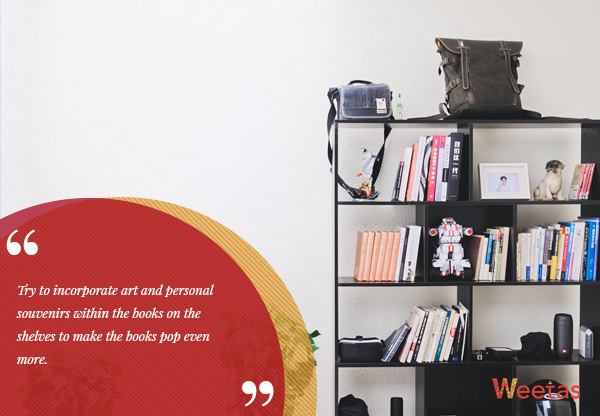 Try to incorporate art and personal souvenirs within the books on the shelves to make the books pop even more. On the walls though, it is better to keep things quiet to balance out the various colors and textures on the shelves. If you have an empty wall, it is better to stick with one large painting and maybe some lighting.